When my oldest son was first diagnosed with ADHD, I immersed myself into researching the best things for him. The best food, the best exercises, the best supplements, the best things to say, as well as the best books to read on the subject. Needless to say, I have learned a lot over the past three years, especially about more natural methods to treat my son’s ADHD symptoms. I am BIG ON FOOD and getting a great start in the morning serves us all well. 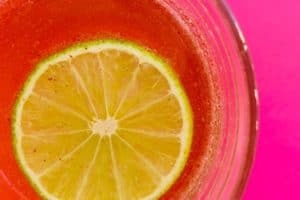 I think I really have found the best breakfasts for ADHD. It’s no secret that protein, good fat, and low sugar are all components of a great breakfasts for ADHD, but it can be tricky to accomplish all three. I make sure I use whole milk dairy products, good fats like coconut oil (This article about boys’ starving brains is a must-read) and I go light on natural sugar like honey or maple syrup. The following recipes are time tested and kid-approved. There is no short order cooking at my house and I get no complaints from my kids-ever when these are served. I make a big batch of this on Sunday and we eat it for at least 4 more days! Place 6 to 7 cups of oats in a 9 by 13 pan. Mix in 1 1/2 cups of plain whole milk yogurt and l to 2 cups water(enough to make all the oats moist). Cover with a dishtowel, place on counter(or in cold oven if you have sneaky cats!) and let soak for 12 to 24 hours. WHAT? SOAK OATS? I soak my oats first to rid them of their phytic acid. This step is optional but once you read about soaking grains, you won’t skip this step. In a nutshell, soaking grains makes them easier to digest and their nutrients more readily available for your body to soak up. But you can skip the soaking and move right on to Number 3. Mix in 1 stick of melted butter, 7 to 8 eggs, 1/2 to 3/4 cup honey or maple syrup, 1/2 cup chia seeds, 1/2 cup flax seed meal, 1 can pumpkin, big pinch of baking soda, big pinch of salt, big handful of raisins and as much almond milk as needed to make the whole thing super moist. Mixing everything right in the baking dish saves time. I use a potato masher to mix all the ingredients together. Bake it in a 350 degree oven for about 40 minutes or until the top is a little brown and crispy looking. You can tell this is not an exact science. I have easily made this 75 times or more over the past 3 years. Add a little more or less of ingredients as suits your tastes. I usually err on the side of not sweet because you can always drizzle a little honey or maple syrup over it when served. Sometimes we add chocolate chips or peanut butter. I will even serve it with a huge dollop of nut butter or sun butter for an extra punch. Sometimes I drizzle whole milk kefir over it for extra protein and probiotics. On day two thru four, slice this up like bread and toast it a bit in the oven and spread nut butter on it–delicious!! Store in the fridge and scoop out as needed. This recipe was adapted from Katie Kimball(her cookbooks have been a staple for about 5 years. 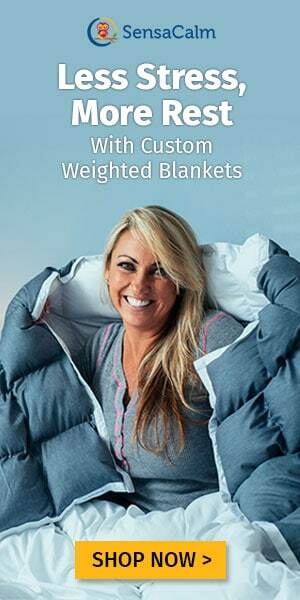 They are awesome and a must for healthy families.). I’ve beefed up her recipe with more eggs, more fat and a whole host of add-ins. 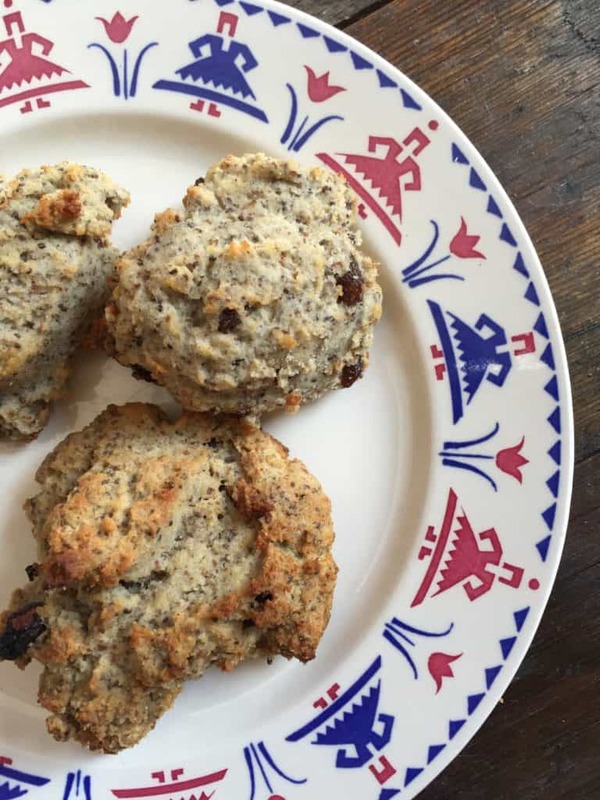 These are hearty, protein packed “cookies” with just a bit of sweetness. We serve them with nut butter or yogurt for breakfast and enjoy them as a snack anytime of the day. Combine 1 cup coconut oil or butter with 6 eggs and 3/4 cup honey. Mix well. Add 5 cups of almond flour and 1/4 cup of coconut flour. If too dry, add a bit of almond milk until very moist, but not runny. Now add in 1/4 cup chia seeds, big handful of raisins, 1/4 flax seed meal or any other mix in. Again, add a bit of almond milk if batter gets too dry. Spoon out biscuit sized spoonfuls onto a parchment covered cookie sheet. Bake at 350 degrees for about 20 to 25 minutes or until no longer soft and a bit brown on the edges. Makes about 20 large “cookies”. 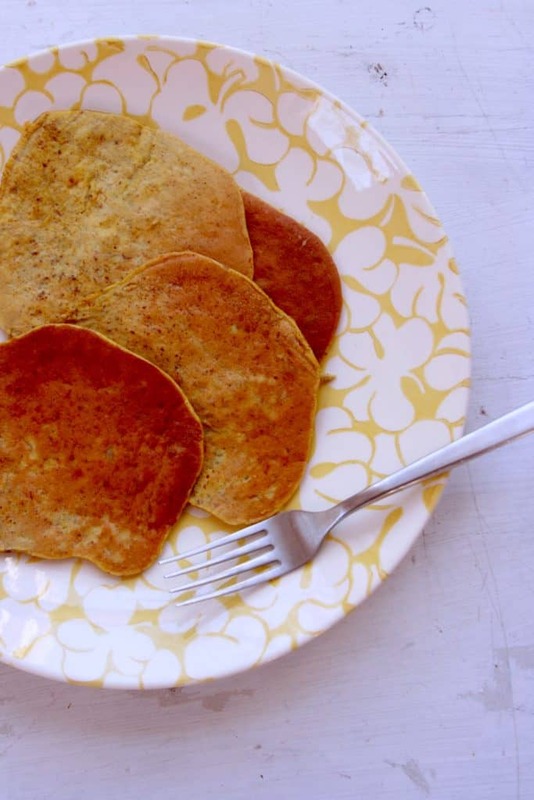 This pancake recipe is all over pinterest and is so easy, yet packs a real protein punch. I make a huge batch and freeze them to eat all week. They even pack well in lunches. Mix 2 eggs and one, very ripe banana. Add cinnamon to taste. Cook on a griddle as you would any type of pancakes. I usually make these smallish-about 4 to 5 inches around. Make a big batch with 12 eggs and 5 to 6 bananas. We often serve these with yogurt and “sprinkles” – otherwise known as flax seed meal. 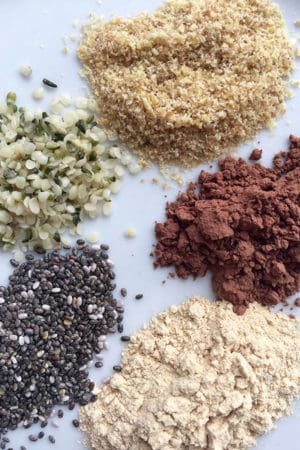 When my kids were really little I called flax seed meal, “sprinkles” and the name stuck! No need for syrup as the bananas give them a naturally sweet taste. These need little explanation, are super easy, and older kids can make these themselves. Many of these items are in our cupboard or freezer at all times. My boys usually get their own breakfasts, so I need options that are super easy to prep. G-free waffles and nut butter or yogurt. Salami(no dyes or antibiotics) and cheese – both of my kids LOVE this!! Gluten free toast, butter( I let them slather it on–remember their brains may be starving) and whole milk yogurt with fruit. Serve the same thing a few days in a row. If kids like something they most likely won’t complain about eating it several days in a row. Leftovers for breakfast! We’ll make loads of scrambled eggs for dinner and save the rest for breakfast. Wrap in a burrito with cheese or serve on toast to give it a new twist. Make it easy for your kids to serve themselves. We started this early on with frozen waffles and peanut butter. My kids learned how to defrost in the micro and then spread on some nut butter around age 6 or 7. 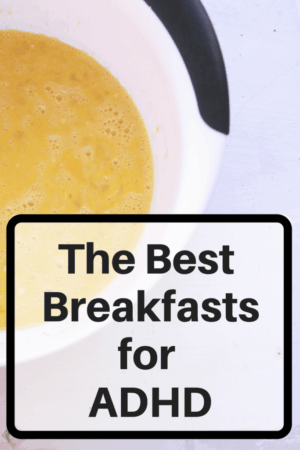 This post has so popular, I made one with EVEN MORE BREAKFAST IDEAS. 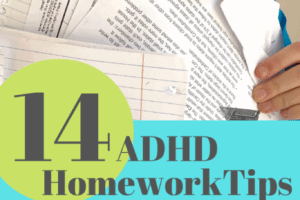 Want more help with ADHD? 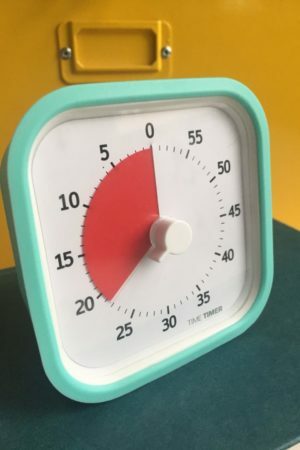 Read about how we do ADHD lunches HERE. Read about our super effective bedtime routine HERE. 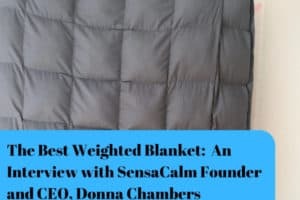 We love our weighted blanket for ADHD. Find out more HERE. 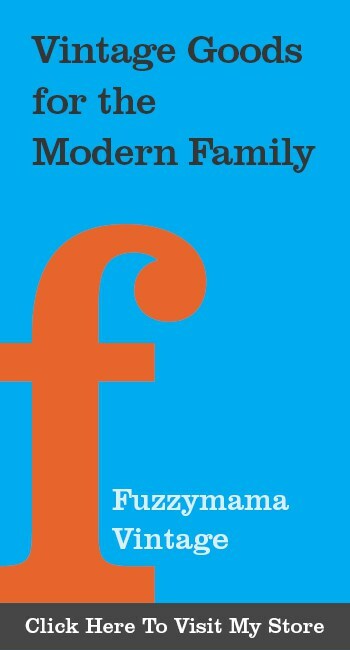 Have you read any of these parenting books? They are some of my favorites! Thank you for these healthy options. Can’t wait to try them out with my gang. Thanks, let me know whatcha think. You can really modify them to suit your tastes very easily. I am eating some Oatmeal Casserole as I type!! Love these ideas! I’m dealing with a 6 year old girl with ADHD who is a very picky eater, but I see a lot of things here that I think she will eat! Definitely going to give these a try, thanks!! Great Jessica! The oatmeal can be so easily tailored-berries, raisins, a sprinkle of mini chocolate chips…we eat a ton of it! Let me know what works for your picky eater. Question about the oatmeal casserole: you recommend soaking it to get rid of phytic acid; do you drain it before mixing in the rest of the ingredients? Or does soaking/cooking “kill” them? Hi Fran, Thanks for your question. I do not drain my soaked oats..the soaking does the breaks down the enzymes in the oatmeal, making it more digestible and the nutrients more readily available. Bon appetite! Hi, Beth. Thanks for your quick reply! If we skip the soaking step, do we still add the yogurt and the water? Yes, still add the yogurt and water…you will probably not need as much liquid since it won’t be soaked up by the oats as quickly. The oats should be very moist, but not swimming. Thanks for asking!!! 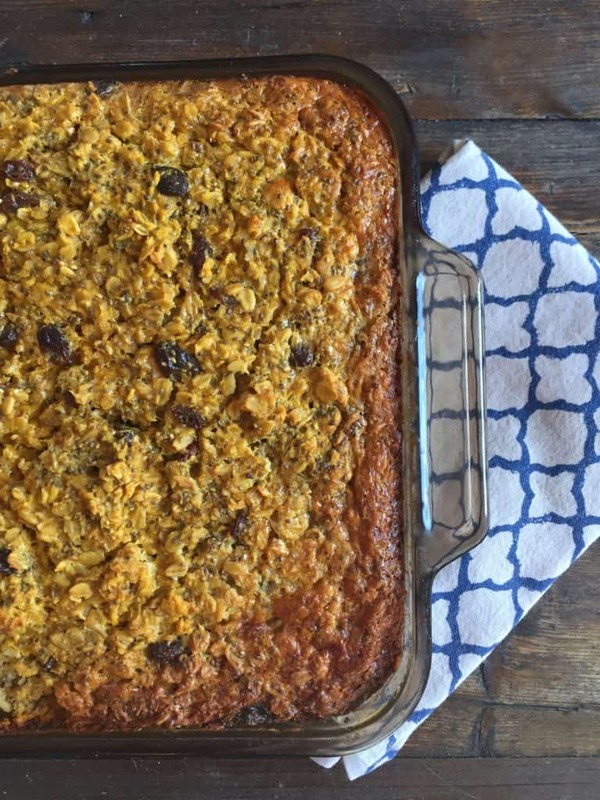 a couple questions – can we add some cinnamon to the oatmeal casserole? Also can I use maple syrup made with Monk Fruit instead of traditional maple syrup? We are trying to go as sugar free as possible. HI Mary, YES and YES…really you can modify this so easily. Monk Fruit syrup sounds interesting-do you buy it at Whole Foods? I have made it without sugar at all and then just add a teeny bit of honey when I serve it. Enjoy!Thanks for reading. Could you provide a smaller batch of cookies recipe pls? I don’t want to burn through all that good stuff if it ends up in the trash. 🙁 thanks!! Hi Melissa…I get it! Expensive ingredients…I will include on in my upcoming newsletter. Thanks for the feedback! My son is allergic to tree nuts. He can have peanuts and coconuts so what would you recommend instead of almond flour? Thanks for sharing! Hi Tracey, I have not tried it with this recipe, but I have good luck with CostCo’s gluten free flour mix as well as Bob’s Red Mill brand. I know Bob’s has no nuts of any sort. You can use it as a 1:1 sub for any recipe. For the oatmeal casserole: what type of oatmeal (instant or regular) and what size can of pumpkin? Hi LuAnn, I use regular oatmeal and the small can (12 to 14oz.) of pumpkin. Let me know how you like it. It’s cool here this week, so I think I’m going to make a batch! “Breakfasts” is spelled wrong in your main photo for this post. Just wanted to let you know so you could update it. Hi Laura!! Thank you!! So funny that I have never noticed — and it’s my most read post! I think our eye compensates all the time. Fixed! Thanks! OH my gosh, Lisa, I am sorry that none of these ideas will work for your son. Will he eat any protein? Has he eaten corn all his life? Have you tried non-food related things to soothe your son’s adhd? Epsom salt baths, magnesium oil rubbed on his skin, essential oils in a diffuser? Hi Dee, I use almond milk for my recipes and that works well. Do you mean the eggs? Chia seeds are a great egg replacement. Let me know if I am not answering your question correctly, my apologies. I can’t wrap my head around leaving yogurt on the counter for 12-24 hours….it doesn’t get bacteria? I know Stephanie, I couldn’t believe it either, but yogurt is created by bacterial action on milk – a way to actually preserve it without refrigeration. Up to 24 hours is a good rule of thumb for yogurt. Thanks Kristine! Great job…let me know what works best for your child. I love to hear from other, naturally minded folks. What is the purpose of soaking it with yogurt? Is it dangerous to leave the yogurt soaking all night at room temp? Hi Breanna, I know, I wondered that, too. But, the process is called facto-fermentation and it breaks down the physic acid of the oats, making more of the nutrients available to you. Make sure you use PLAIN whole milk yogurt for this process and it’s totally safe and makes your oats better for you! Thanks for your question. My child is allergic to every breakfast listed here. Ugh. So hard to feed an ADHD child with multiple food allergies. Oh no!! I am sorry. 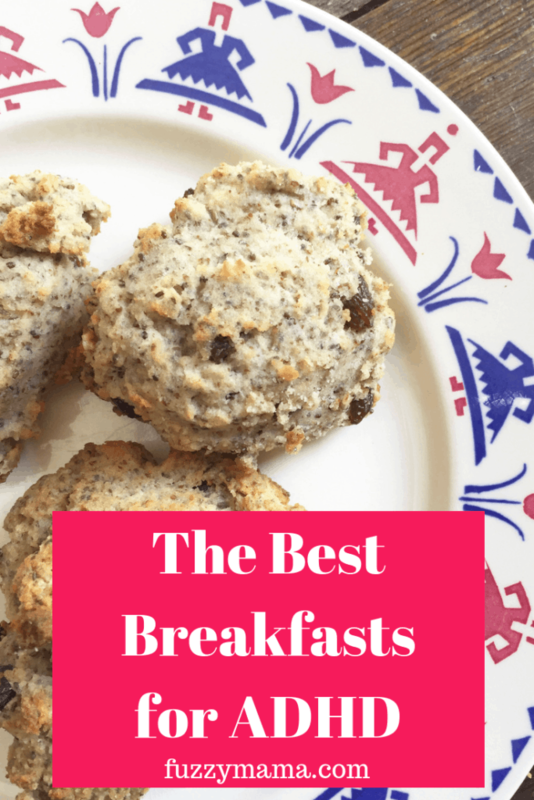 Did you check my second breakfast post? I understand — I am dealing with some autoimmune issues and eating AIP – no grains, sugar, eggs, nuts, dairy. What are the worst allergies for your child?